Valve is giving away the Portal 2 soundtrack on the Portal website. You should go get it, for science. Microsoft Research just released Sho, a marriage of .NET and Python. I would try it out, but I need to upgrade before I can run it. Courtesy of Jerry Pournelle, I found out today that Microsoft Mathematics 4.0 is now free. It used to be $20. I've never used it, so I have no idea of its utility versus other free applications that do the same thing, but we all like free. Microsoft seems a little slow on this as in so many things. Mark Dominus has a talk with slides online that I found absolutely fascinating. John Wiegley has a more in-depth explanation of git for those who need to know the details. I have been pretty busy of late. To get an idea of how busy, check out the Reading Log for April as opposed to March. Partly, this is just life, but I have also been working on a secret project that is now ready to be unveiled. I have been redoing the Dead Philosophers Society website, rebuilding it on a more modern platform that ought to make it easier to maintain. The platform I chose was WordPress. It hasn't actually been too bad, but I have been rather spoiled by Squarespace, which hosts my site. Squarespace is pretty much the easiest web editor I have ever used, and it can do pretty much anything I can imagine, and then some. WordPress in theory can do as much or more, but the work involved is a couple of factors of magnitude larger. You have to go track down the right code or plugin, and then make it work with everything else you already have. It took me about a month to get the Dead Philosopher's site running well, whereas I was up and running here in a few hours. However, hopefully most of the work was on the front end, and now it ought to be relatively easy to work with. I also got my introduction to CSS, PHP, and MySQL out of this, so now I probably know just enough to be dangerous. No, not a guy with a bum leg. The GNU Image Manipulation Program. A pretty handy free alternative to Photoshop. I've found it pretty easy to use, even if it has more features than I could ever use. I use it to resize, crop, put people's heads on other people's bodies for work presentations, and the like. I uploaded some datasets from Box, Hunter, and Hunter. It is hard to work through the examples in a stats book if you don't have ready access to the data. I looked around, and I found very little on the Interweb from BHH, even though it is a common book. All of the datasets are from the 1st edition, so if someone wanted to learn some stats, the book would be inexpensive. I also started with R. R is a language and environment for statistical computing and graphics distributed under the GNU General Public License. R is admittedly a little intimidating even for me, because it all run through the command prompt. I decided to give it a go however, because R is powerful, and more imporantly, free. I use JMP® at work, and I learned JMP in school because NAU had a site license. 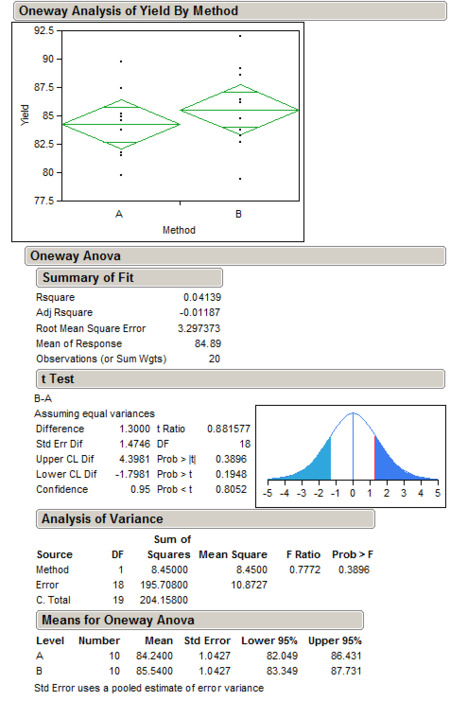 JMP is really pretty good, it is powerful, easy to use, and well-written. It also costs money, so I don't have a copy at home. Pretty nice eh? This is the data from Table 2.1 of Box, Hunter, and Hunter. Not precisely the same thing, but JMP has it's own way of doing things. I could replicate all of the output that JMP made in R with time. 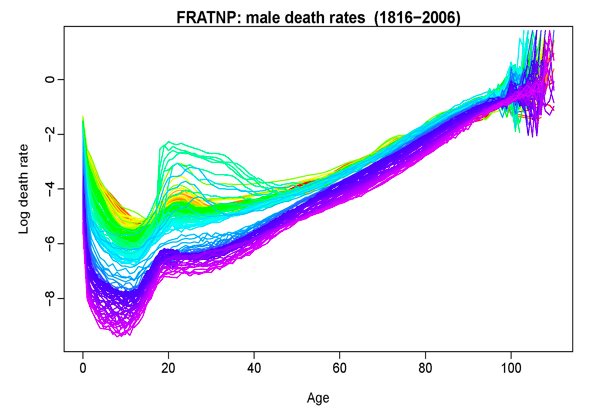 The boxplot is the standard way, so that is easy in R. Over time, I hope to build up a library of datasets from BHH. I hope to learn R along the way, but it is time-consuming at first to learn the commands. Once I get it down, I think I could almost anything with it and R includes many, many more routines than JMP, but they are harder to get to. Well, that was...challenging. I downloaded a common Windows distribution of LaTeX called proTeXt. I installed it, and proceeded to start transforming that piece on Bayes' Theorem into a .tex file. Learning the markup is a little tedious, but everything you need to know can be found pretty quickly. My problem came when I tried to compile the file last night, and I kept getting an error regarding the location of the pictures. I puzzled over that for quite some time before giving up. Turns out the problem was that I was using the LaTeX=>PDF option, which means that you do not use the standard .eps files for pictures, but rather JPEG, GIF, or PNG. Ah. One of those things that is so simple, but not obvious to the new user. The file turned out pretty well, all things considered. It took a lot longer than I would have liked, but I'll keep plugging away at this. I tried to cut and paste as much as possible when doing this conversion. The idea was to see how the same output could be made with new software. This was hard, because I would have done it differently now, so I had to refrain from copy editing. If you would like to see the gibberish contained in a LaTeX file, look at the source for this new version. It is just plain text.